Did you get a new Kindle for Christmas? Follow these tips to unlock its full potential. Every Kindle registered to your account has its own name picked by Amazon when you register your device. You can re-name it by logging into your Amazon account, then clicking Kindle, Manage My Kindle, and Manage Your Devices. Now click Ed it beside the name of the Kind le you want to rename, and type the new details. You can set a password to stop unauthorized users viewing your downloads, but it’s important you don't forget it. If you do, the only way to get back into your Kindle is to reset the whole thing. As a final resort, switch on your Kindle in the usual way and enter 'resetmykindle' (without quotes) in the password box. This will get you back in, but only after deleting all your content. Because this will all be backed up on Amazon's servers, you'll be able to download it again from there. 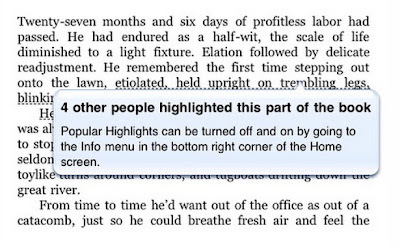 If you have chosen to share your favorite book passages (or 'highlights', as Amazon calls them) with other readers, the Kind le will gather them anonymously, along with everyone else's. It then synchronizes them with every copy of the book to which they relate, on every device to which it has been downloaded. 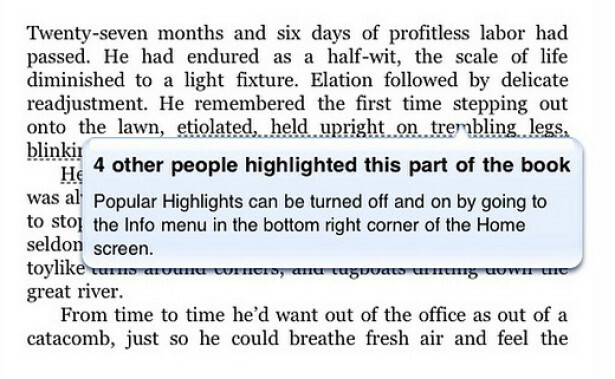 These highlights have a dotted underline below them with a note of how many people have chosen to mark it. If you find this annoying, turn it off by opening Settings, going to the third page and clicking the 'turn off' link beside Popular Highlights. Whether you want to prove how well read you are, or just want to inspire people to pick up a book you've enjoyed, The Kindle lets you share your favorite passages with your Facebook friends. To do this, it needs to know your login details, so with Wi- Fi or 3G (on the Kindle Keyboard) active on your device, open Settings and follow the instructions on the panel to the right. You can now share content from your book, but you should only share a small part for copyright reasons. To do this, highlight your chosen passage by clicking at the start and end of the selected text. Type the comment you want to accompany it and select 'save and share'. If Wi-Fi or 3G are turned on (it’ll warn you if they aren't), it will post your covering note to Facebook, along with a link to the highlighted text. 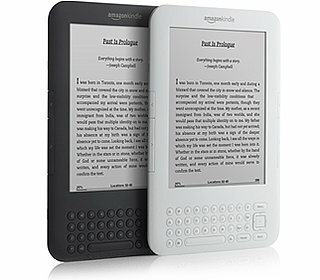 From time to time; Amazon updates the operating system for its Kindles - both current models and old devices. These updates f ix security issues, improve performance and sometimes add new features. You can find the latest updates for your Kindle, including details of how you go about implementing them, at http://amzn.to/update283. There's no need to copy everything when you buy a new Kindle because Amazon stores all your purchases in your library. To enjoy the same books on your new Kindle as you did on your old one, make sure your Wi-Fi or 3G connection is active and select Menu, View Archived Items to call up a list of your books. You can then retrieve them on your new Kindle, so they appear on the Home screen. This is the address to which you email documents that you want to transfer to your Kindle, so you don't have to use a USB stick. Amazon provides a @kindle.com address when you first register your Kindle, but if you want to choose a more memorable address, log into your Amazon account and click Kind le, Manage My Kind le, Personal Document Settings. From this screen, cl ick Ed it beside your Kindle email address and enter a new username. You can't change the 'kindle.com' part of the address. 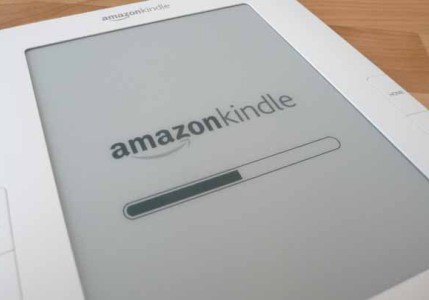 While here, you should also check the list of authorized addresses allowed to send content to your Kindles. Make sure that you have removed any old, out-of date entries, and included any address from which you intend to send content to your device. 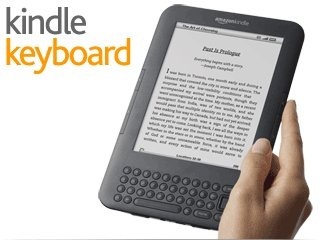 All the above tips work for both the £89 Kindle and the £149 Kindle Keyboard. Here are five that are specifically for the latter, making full use of the keyboard. The normal way to enter numbers is to switch to the Symbol keyboard and use the four-way controller. This is effective, but time consuming. Save time by holding Alt while pressing the top row of letter keys. Q to 0 gives you the numbers 1 to 9, while P gives you a zero. Connect your Kindle Keyboard to your computer, open its internal storage and drop a selection of MP3 tracks into the Music folder (you can create this if it doesn't exist) . Disconnect your Kindle and choose a book to read. To listen to your music, hold Alt while pressing space; do the same to stop the music, and press Alt+F to skip to the next track. To use your Kindle as a calculator, return to the Home screen and press any character on the keyboard to bring up the search box. Delete that character and replace it with your sum. When you have finished typing it, press the center of the four-way controller to perform the search and see the result. There are two games hidden in the Kindle Keyboard. Go to the home screen and press Shift+Alt+M to play Minesweeper, which you may recognize from Windows. The other game is GoMoku, which is like Connect 4 on a grand scale. To exit game mode, press the Home button. Press Shift+Sym to activate the Text-to-Speech tool. This will make your Kindle Keyboard read newspapers, magazines, blogs and books out loud to you, in either a male or female voice.